Going to the movies is an entertainment experience. Sure you can rent movies at home from Netflix, Pay Per View on Cable, etc. but the act of getting that bucket of popcorn drenched in butter, the large coke or slurpee and slumping in a chair facing the largest movie screen for the scenery and the sound effects is part of the entertainment. But have you ever visited a classic movie theater? There's no comparison. A neon lit sign emanating blocks away is the first visual to send your heart aflutter. 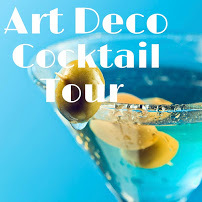 Walking up to a standalone metal structure ticket stand, the Art Deco decor features streamlining in the lobby and into the theater are further signs of a bygone era. Thankfully they are making a resurgence. Elegant old theaters built in the 1920's and 1930's imbue a sense of history, romance and nostalgia that captures people's imagination. You just can't get that at a multiscreen theater. The Tampa theater, is more than a movie destination. It's a palace with courtyard and all the trimmings of a royalty. For the first time in history, the common person had access to opulence on a scale never before imagined. For 10 cents, they could escape into a fantasy land for two hours, see first class entertainment, and be treated like royalty by uniformed platoons of ushers and attendants. By the end of the 1920′s, over 90 million Americans were going to the movies every week. The Tampa Theater is one of the few that survived demolition as families progressively moved to the suburbs in the 1960's and 1970's and downtown businesses suffered. Today it is the cornerstone of culture in the city of Tampa with regularly scheduled movies, concerts, and special events. The theater is lovingly called "The Tampa". 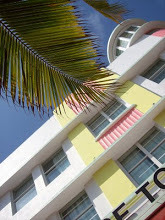 In Miami, we have the Tower Theater in Little Havana, just down the street from the border of downtown Miami. This classic 1926 Art Deco building with striking neon light and wraparound signage was the finest state-of-the-art theater in the South. 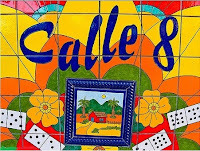 Little Havana was planned to be the next Hollywood of the south and a studio for filming and production was built in nearby Hialeah. Today it thrives as a movie destination for foreign films managed by the Miami Dade college under the auspices of the Cultural Affairs Department. Award-winning films are previewed here and often return for extended viewing post the Oscar buzz. I had the pleasure of viewing a French film about Coco Chanel. No crowds, plenty of ideal viewing seats and a memorable experience. What is it about foreign films that make them so surreal? I hope to return and to return often. Outside of Florida, in Fowler, Indiana, renovations of the Fowler Theater are underway. 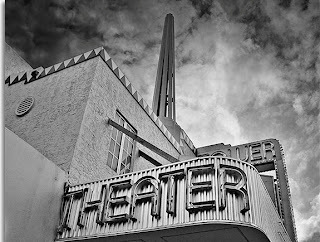 The theater closed January 25, 2012 and will reopen this summer. The Fowler is run by a volunteer staff. No one involved with operations--from the projection booth to the concession counter--earns a salary. 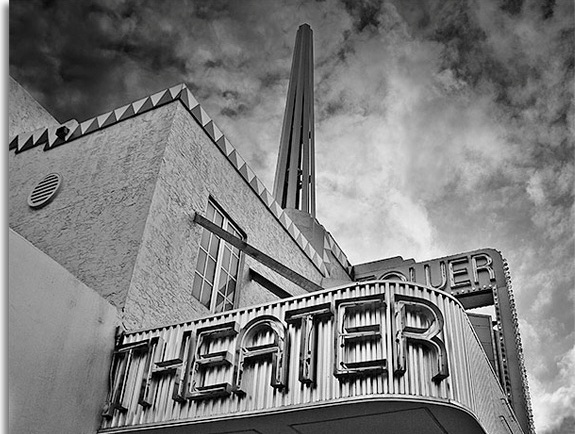 The Hollywood Theater in Portland, Oregon remains open during its renovations, which include the replacement of 70-year old seats. Built in 1926, the art deco theater recently hosted a combined film and live music production of a movie called Turkish Star Wars. The Joy Theater in New Orleans reopened in December after devastation from Hurricane Katrina. It is a largely performing arts venue. Some theaters are still waiting for a revival. The historic Boyd Theatre in Philadelphia is for sale and needs investors to breath new life into it. They need an angel. We encourage you to visit and support these landmark buildings and let us know what you think about the experience.